Today, despite all the publicity about recycling, we’re still a very wasteful society, and even more so when it comes to housing. A century ago, when Penniman was abandoned, the overwhelming majority of the houses were “knocked down” (disassembled board by board) and moved to another site. Some of the houses were moved intact and whole. Today, the majority of these houses are still alive and well in Norfolk and Williamsburg. 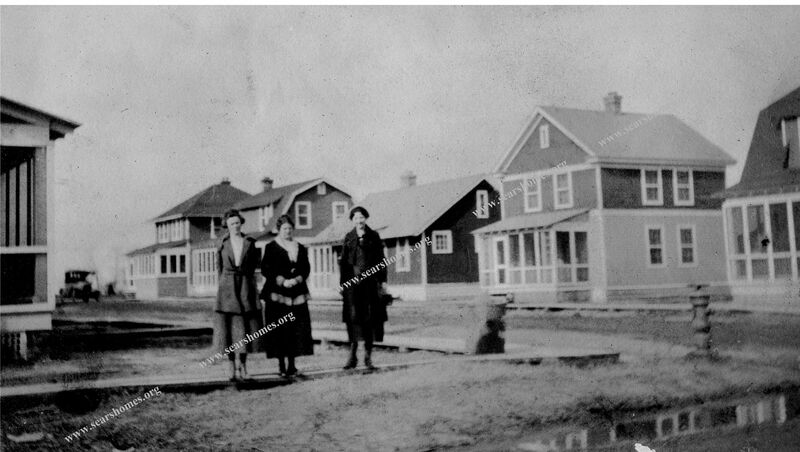 And now, thanks to the foresight of the Whisnant family, we have pictures of the residential area of Penniman, showing these houses within this village, built by DuPont for workers at the shell-loading plant. 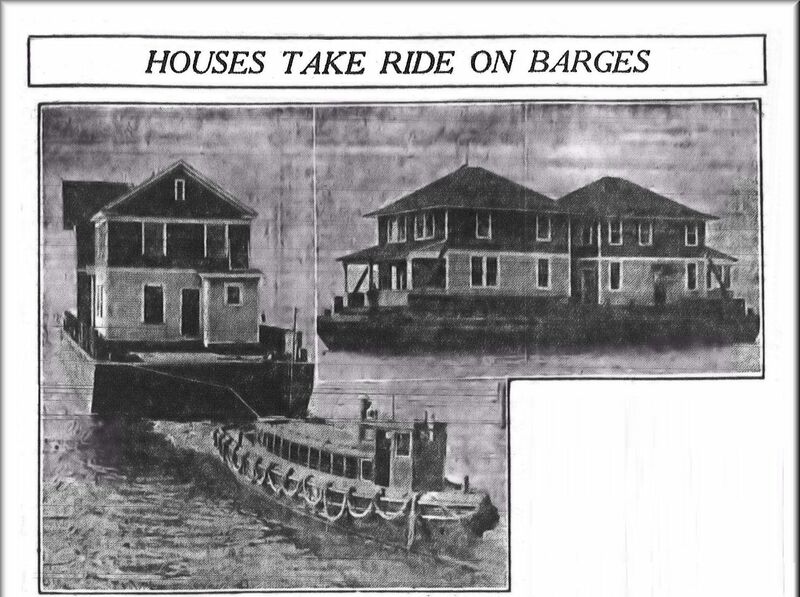 Below, you’ll see images of the “Haskell,” living in Penniman and later in Norfolk. 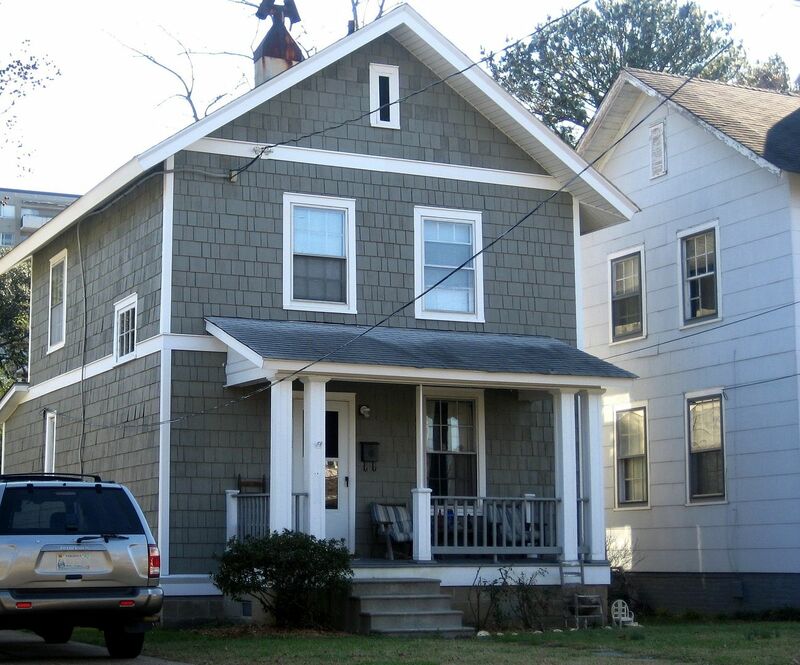 To learn more about the Penniman houses in Williamsburg, click here. Read about the Norfolk Penniman houses here. Images below are courtesy of the family of Joseph and Ola Whisnant. Thanks to the foresight and generosity of the Whisnant family, we have street views and genre scenes of life in Penniman. Cameras were probably forbidden within the cantonment of Penniman, and visitors would have subjected to a daunting search of their personal belongings, entering and exiting. 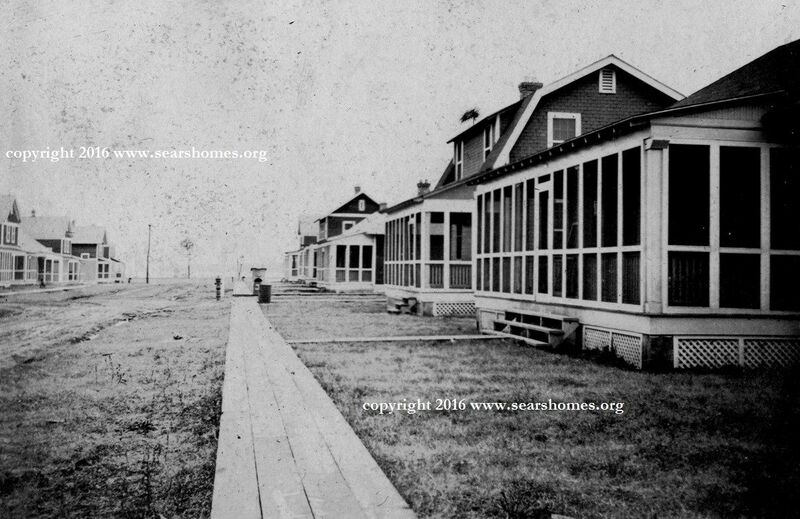 These images are the only known existing photographs of the residential areas of Penniman. Street view of the newly created village of Penniman. The streets are mud and the houses are fresh and new. The village was built in 1918 and abandoned in early 1920. Photos are courtesy of the Whisnant family. Another view of the village. Notice the hydrant to the right with the easy-to-access valve. The model of houses shown in this picture (Cumberland, Florence, Haskell and a piece of the Georgia) eventually landed in Norfolk and Williamsburg, Virginia. A close-up of the Haskell. Thanks to the Norfolk city assessor, we have a picture of this same model, taken in the 1950s. 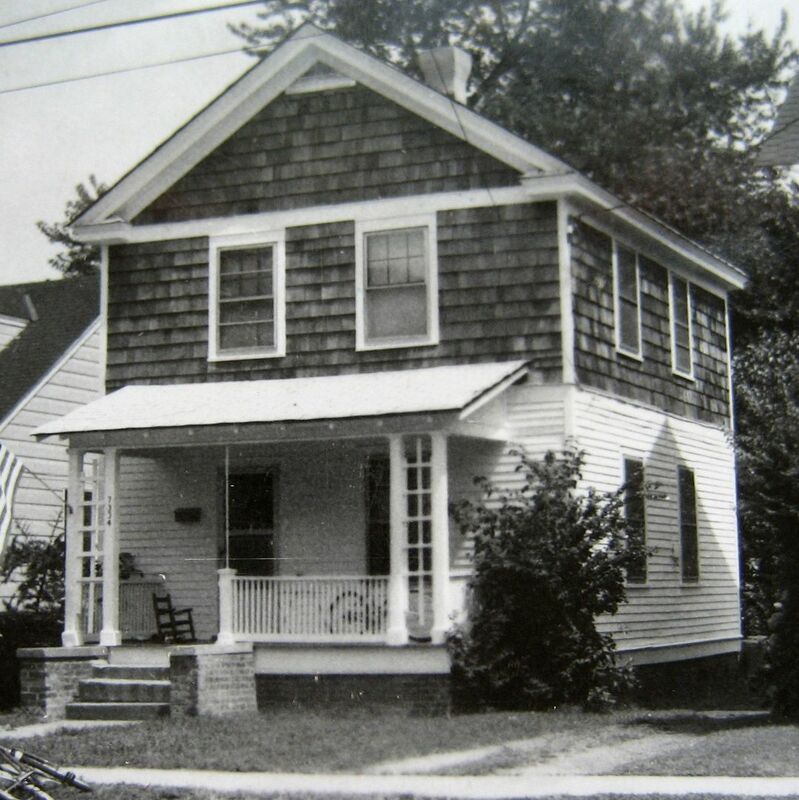 There are more than 50 of these homes - built at DuPont's Penniman - along Major Avenue and Glenroie Avenue in Norfolk. 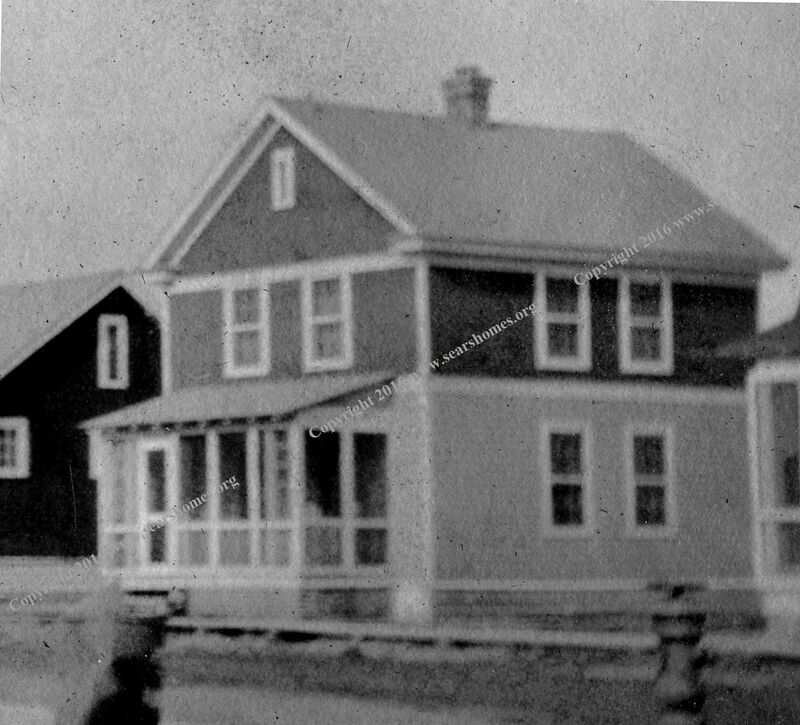 Comparison of the house in Norfolk (1950s) and the house in Penniman (1918). This "Haskell" has been resided with a substitute PVC-type shake, and the belt course on the gable line was moved up closer to the peak. Other than that, it looks much as it did when built in 1918. 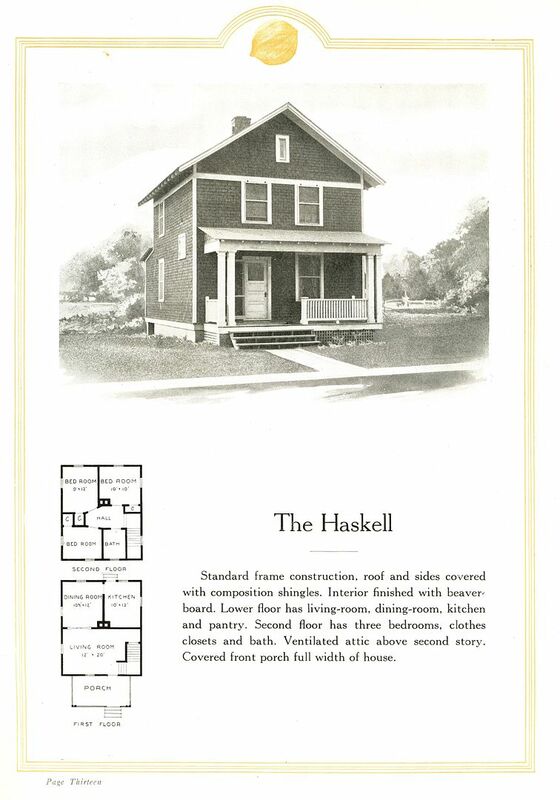 The Haskell, as it appeared in a building catalog in 1920.